What a simple wonderful side dish! With corn in its seasonal prime, now is the time to create and serve this favorite summertime staple alongside local spiced shrimp! Saute the kernels and add a few more easy ingredients (olive oil, butter, salt, pepper, jalapenos, crushed red pepper, lime, chives, Manchego cheese). 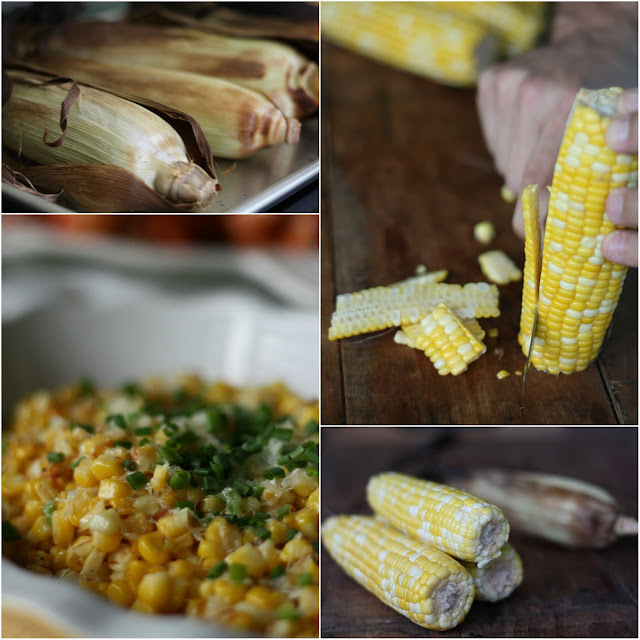 Find detailed steps under Roasted Corn with Manchego & Lime at Epicurious. Take time to visit a local farm or farmers market this week and fill up on sweet, juicy, local corn. Visit Local Harvest to find a market in your neighborhood.